Henne Organics Luxury Lip Tint in Intrigue is a dark red that looks flattering on all skin tones. Read more.. Intrigue is a dark red that looks flattering on all skin tones. Apply one layer for a sheer hint of color and add more layers for a stronger tint. Reapply when needed. For external use only. Store in a cool, dry place. Not tested on animals. Made in USA. 5ml / 0.17 fl oz. 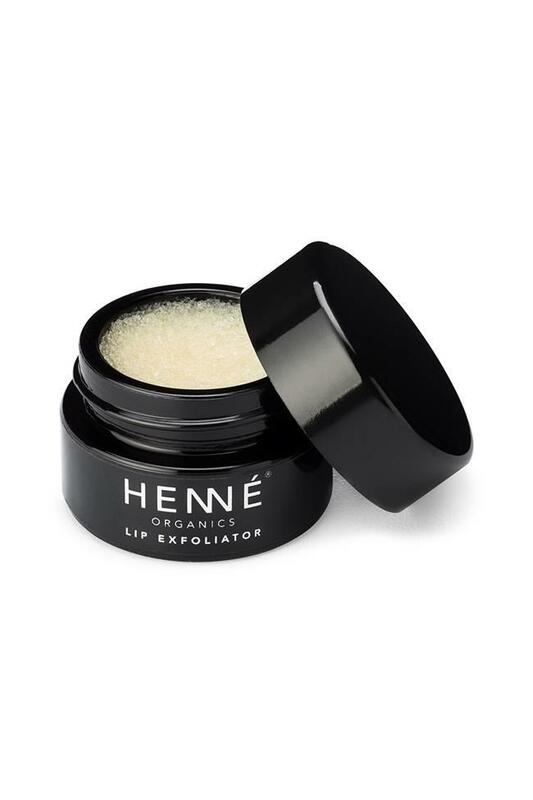 Tip: use one of Henne's lip exfoliators prior to applying the luxury lip tint to ensure the lips are flake-free and that the color goes on smoothly. ORGANIC COCOS NUCIFERA (COCONUT) OIL, ORGANIC RICINUS COMMUNIS (CASTOR) SEED OIL, ORGANIC SIMMONDSIA CHINENSIS (JOJOBA) SEED OIL, ORGANIC CERA ALBA (BEESWAX), ORGANIC PERSEA AMERICANA (AVOCADO) OIL, EUPHORBIA CERIFERA (CANDELILLA) WAX, IRON OXIDE, TOCOPHEROL (VITAMIN E). 89% ORGANIC.